Sand Bar State Park Is Seeking Food Trucks And Ice Cream Vendors For Summer 2018! The Vermont Department of Forests, Parks & Recreation is seeking food truck operators and an ice cream concessionaire at Sand Bar State Park. Introduction and Background Sand Bar State Park hosts between 40,000-50,000 visitors each season. 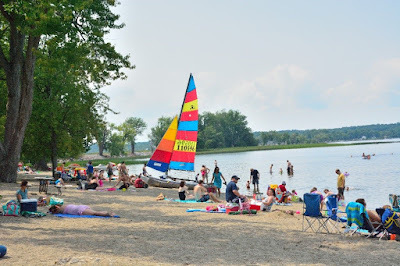 On peak weekend days, the park often hosts several hundred people sunbathing on the beach. Food concessions have historically operated 7 days a week from a building in the park or a seasonal trailer parked all summer in one location for the duration of the summer season. In 2017, the State experimented with a new food concession model using various food trucks on peak weekends, mid-June to mid-August and a seasonal ice cream concession, Friday-Sunday and holidays, mid-June through Labor Day. This is an exciting time of year. These late February days bring ten and a half hours of daylight in Vermont, and the sun feels warmer. Resident birds are singing their springtime calls, and the air smells a little bit muddy. March is usually a snowy month in Vermont, so we are patient for flowers and true spring, but early signs are all around us. 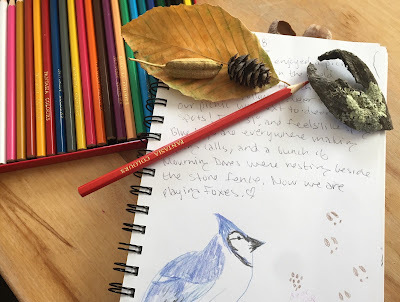 Nature journaling is a fun way to capture these signs of changing seasons. My little daughter and I have kept a nature journal for the past few years, and it is fun to look back on things we observed in past Februaries, and compare them to things we see today. 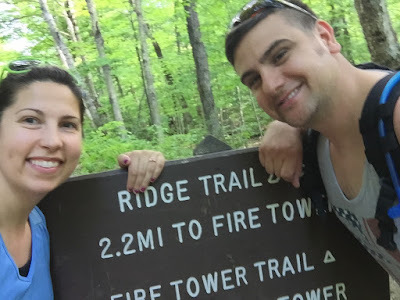 In honor of Valentine's Day, we are re-posting this piece from the summer of 2016, about a fire tower romance, with Elmore State Park serving as the picturesque backdrop. The town of Lake Elmore, home to Elmore State Park, bills itself as “the beauty spot of Vermont”. It certainly a lovely place- the lake is clear and cold, and the popular hike up Elmore Mountain offers spectacular views of the lake, valley, and surrounding hills, including Mt. Mansfield. It’s also occasionally a hot spot for romance. We recently received an email from a woman named Krystal, who had good news for us. “Yesterday my boyfriend Joshua, (now fiancé!!!) proposed to me! I'm so thrilled and wanted to share our story with you! Early on in our relationship we began hiking in Vermont. We have so many incredible memories from hiking and many pictures documenting it! Fat biking (or winter biking) has exploded in popularity in the past few years. Would you like to try it, or explore some new trails you haven’t yet? Here’s your chance! In 2015, the Department of Forests, Parks and Recreation has launched a pilot program for designated fat bike trails on state lands. Locations for the program have been determined by state land managers, representatives from VAST and VMBA, and fat bike users. The If you have any questions about this fat bike pilot project, please contact Jessica Savage, Recreation Program Manager at Jessica.Savage@vermont.gov. The season for fat biking will run from December 16th, 2017 to April 15th, 2018. Fat biking is a great workout and a fun way to spend time outside in winter. If you want some fresh air and can't ski or snowboard but know how to ride a bike, this might become your new favorite activity. Recently, this blog accessed a question many had been wondering..“Why are there so many pine cones this year?” As it turns out, the increase in cones had to do with the drought we experienced in 2016, and the trees' response to that stress. So if you've gathered a proliferation of pine cones, and are still wondering what to do with them all.. here are a few more ideas. 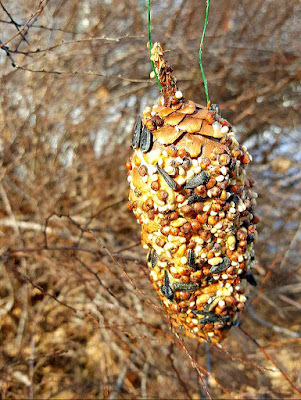 Pine cone bird feeders are a simple classic that even younger kids enjoy making. Ranger Vela from Brighton State Park made the feeder shown above. Tie a string or twine to the wide end of the cone, spread with peanut butter, then roll in bird seed. If you’re allergic to peanut butter, try vegetable shortening or suet. Hang outside, and observe who stops by to visit. This can be a great opportunity for beginning bird-watching- here's a guide on the birds you might see visiting your pine cone feeder in winter.